at this time you can send us e-Mails. Our company provides consultation, engineering, manufacture, assembly and installation, all from one source! 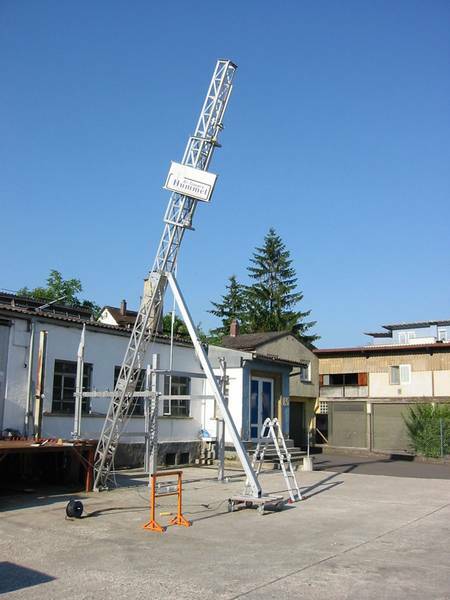 We offer 7 different types of towers, with respective model variations per tower type. Your trip to our facilities, no matter how far, will be worth your while! 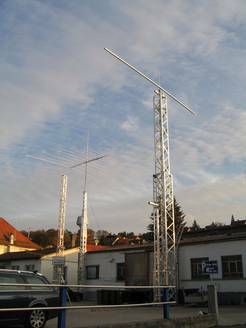 Through the combined cooperation of Hummelmasten and OptiBeam Corporations (located in the same building), your tower and antenna specifications can be correlated at a single source. Our customers are provided with comprehensive consultation of their application requirements! 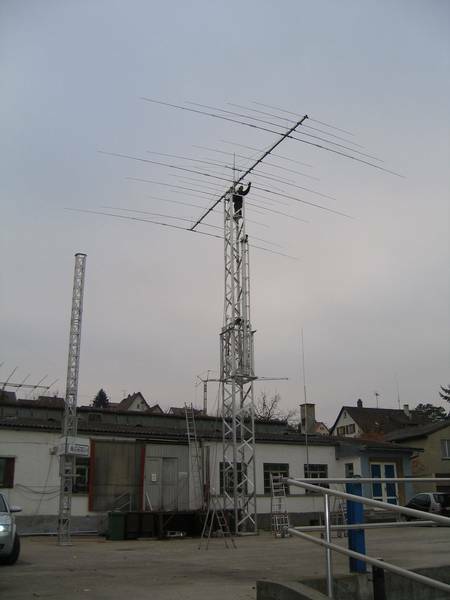 The company started with the production of antennas. 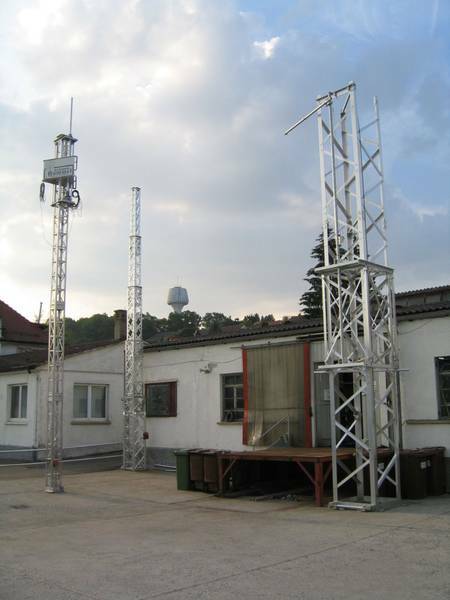 Since 1979, the company focused on the production of lattice towers, including elevating carriage systems. Elevating Carriage System: This system is unique and one of a kind in the industry! 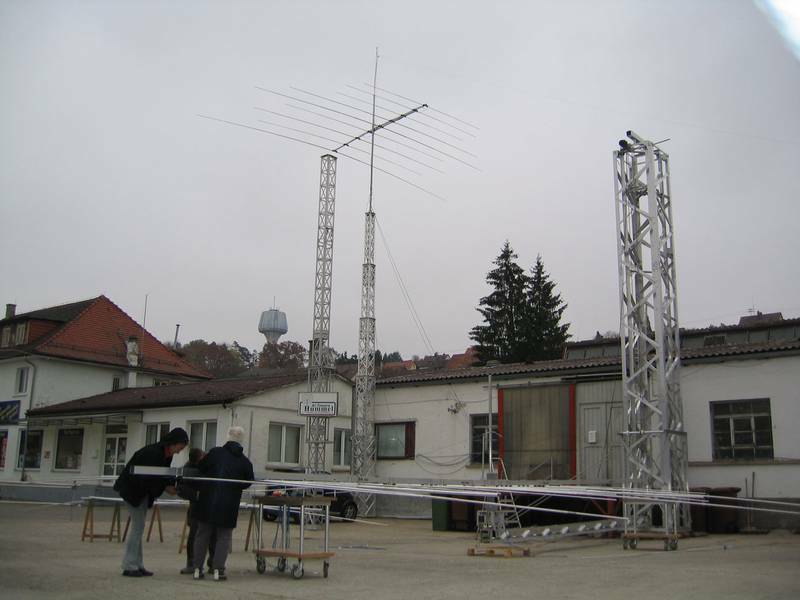 One can affix their antennas or other required applications on top of the carriage, while the carriage is positioned at its lowest point, at ground level. Our system then enables the operator to elevate the carriage up the tower, using a hand operated winch or optional electric motor. When the carriage has reached its upper location, a spring loaded clamping bolt is automatically triggered to lock the carriage into place, assuring that the carriage will remain in a fixed location. If maintenance or repositioning of an antenna is required, our system eliminates anyone from having to climb up the tower. One simply releases the secured clamping bolt and lowers the carriage to ground level. Upon completion of service, one returns the carriage to its upper location. The benefit of the elevating carriage system is multifold: It is time saving, offers simple use of operation and provides safety. 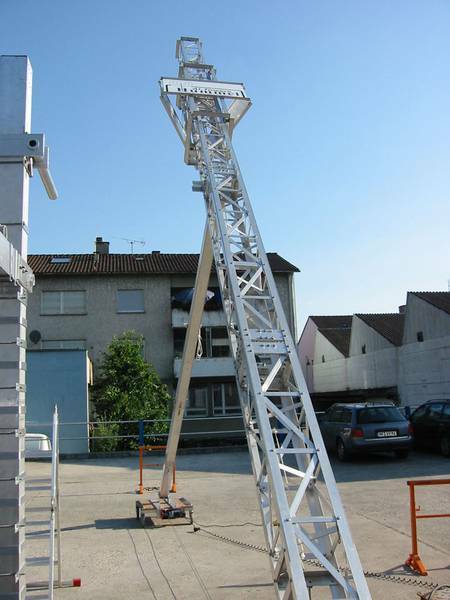 Maintenance can be performed at ground level eliminating a person to climb up the tower. 1988: Company expansion and relocation to Mühlacker – Baden Württemberg, Germany. Consultation, engineering, production, assembly and sales are all located under one roof. Customers have come to appreciate our unique product styles. These can be ordered as modular kits and assembled by the customer, or we will assemble the system for you. 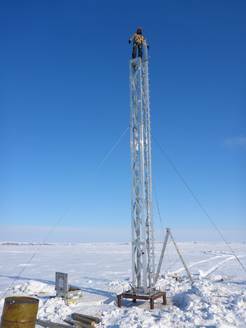 Upon request, we can also provide the installation of the tower on location. Our customers value the flexibility of our product and services, as well as the expertise of our operation. Since 1996 our company represents Garmin navigation systems. In 2000, the company introduced large tower systems of up to 30 meters. 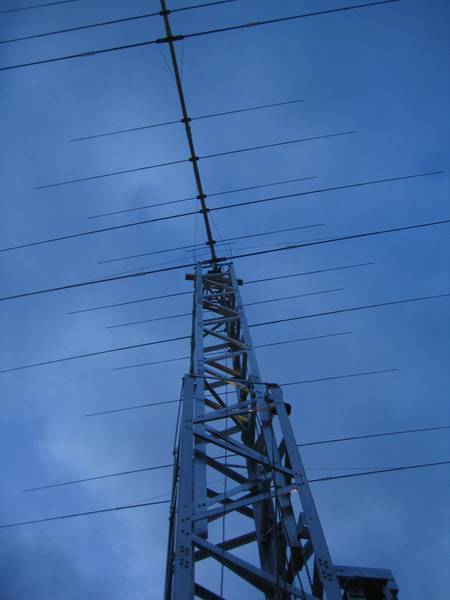 Our lattice towers can be utilized, yet not limited to, the following industries: Telecommunications, military surveillance, law enforcement, ham radio operators, under water surveillance, maritime surveillance, governmental buildings, hospitals etc. Static inspections on the models Explora 500 and Explora 1000 were conducted in 2009 by the Federal Bureau of Building Codes, Stuttgart, Germany. Both models have been approved and certified to be in compliance with the most recent static standards. 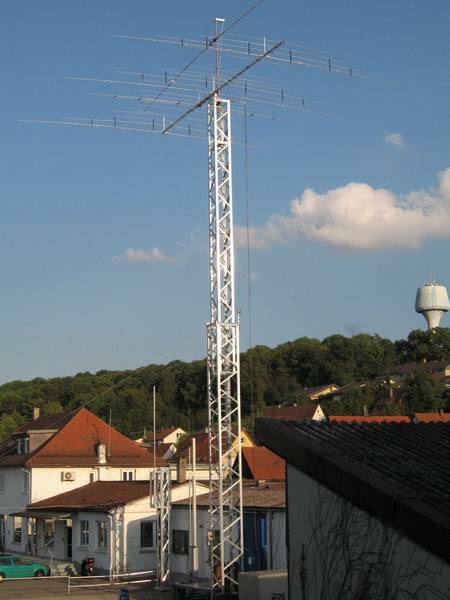 The Junior and Jumbo tower models, versions I, II and III, have been on the market since 1980. Since 1996, the Junior and Jumbo models have only been available in version III. This version receives additional braces, assuring maximum stiffness and strength to counter any possible torsion effects on the tower. All vertical, horizontal and diagonal braces have been strengthened in order to achieve higher head loads. 1995-2001: Introduction and production of the model Explora 700. This freestanding tower, with its heights of 21 and 30 meters, could also be accompanied with wall braces for installation purposes against building walls. In 2000, the tower was discontinued and replaced with the models Explora 500 and Explora 1000 (max. 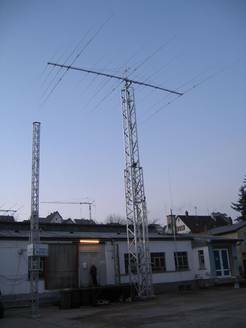 height 21 and 30 meters respectively). W-LAN transfer, using latter systems, safety harnesses and rest platforms complying with DIN standards. Clamped tubes to the corners of the tower provide product flexibility and offer additional rigidity. 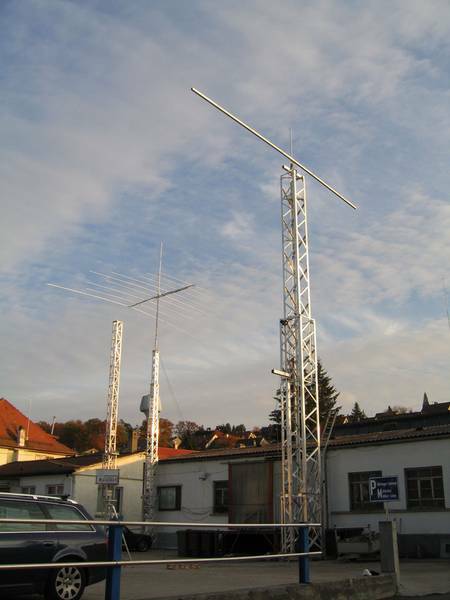 The tower models Explora 500 + 1000 were tested for their static and were approved by the civil engineering department, located in Stuttgart, Germany. No further static tests have been required of the Explora 500 and 1000 models, since their certification by the Department of Civil Engineering in Stuttgart, Germany, in May, 2009. Model Explora 1000 can exceed a height of 30 meters, to a height of 42 meters, by integrating 1 or 2 suspension planes. Aside from the 42 meters height mentioned above, our general maximum tower height is 30 meters with a maximum bearing load of 1000 Kg. 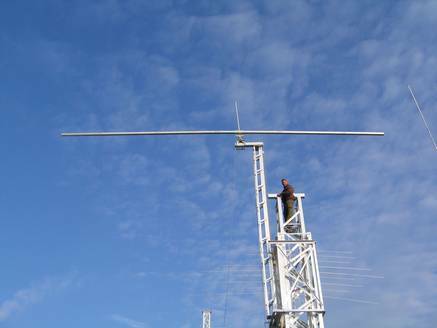 The maximum wind load at heights of 30 Meters is 148 Km/h, with a maximum wind thrust of 3150 Newton meters. We exclusively use high tinsel strength aluminum and stainless steel to ensure that our product is non- corrosive and provides the utmost strength and rigidity. NO MAINTENANCE REQUIRED: Our selection of superior materials warrants that our products will not require maintenance, nor will the towers require to be painted at any time. This has enabled us to install several units with beacons along shorelines for maritime operation, including the use of our towers for under water surveillance applications. 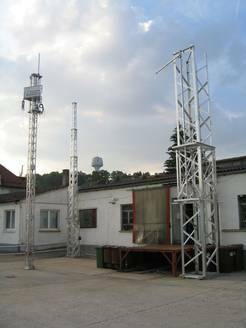 STATIC CERTIFICATION: All towers exceeding a height of 10 meters are required by law to be inspected for static conformance. Our towers are certified and approved by the highest civil department, the Federal Bureau of Building Codes. Federal law requires that the production of towers which exceed 10 meters is inspected every 5 years to assure conformity with the latest static requirements. 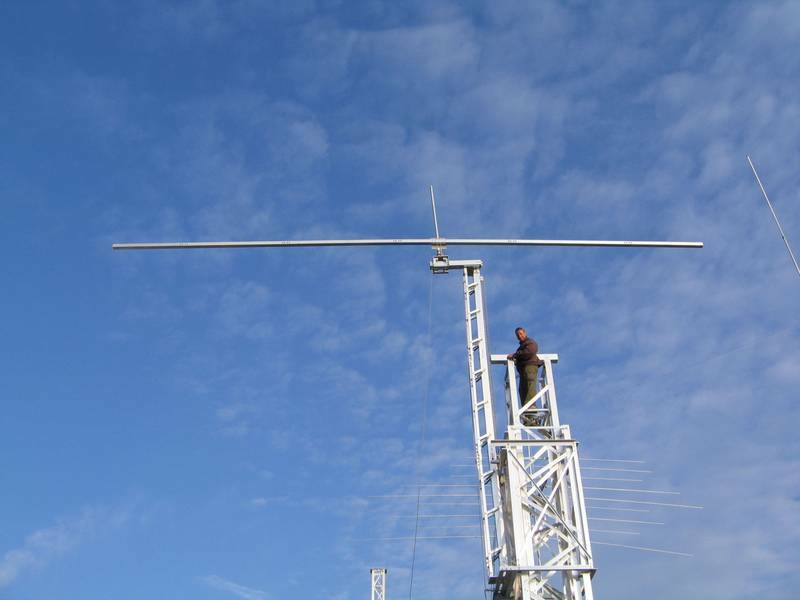 Our towers have been tested and certified to meet these standards. COMPANY CREED: We provide comprehensive consultation and innovative solutions to the needs of our customers, backed up with 35 years of experience, and thousands of installations in the field. Our products are manufactured and assembled to the highest degree of accuracy that not only meet, but exceed our customer expectations. Our towers are designed and built to last decades, without lacking in strength, nor requiring any maintenance. 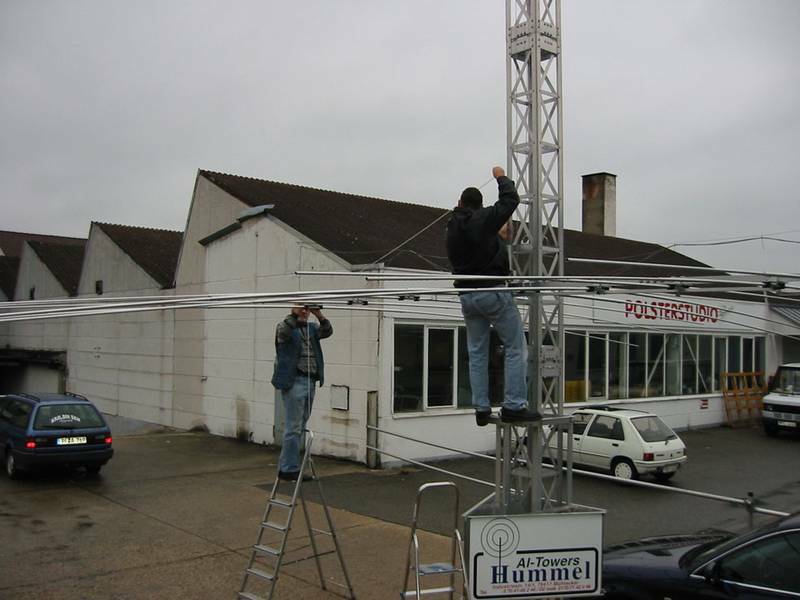 Customers can attest that Hummelmasten products offer an excellent investment at a fair and competitive price.